Alan you made our day the most magical unforgettable amazing day. We cannot thank you enough. You were for me like... read moreAlan you made our day the most magical unforgettable amazing day. Three weeks ago we had an amazing wedding with many memories to treasure. We are so grateful to Alan... read moreThree weeks ago we had an amazing wedding with many memories to treasure. 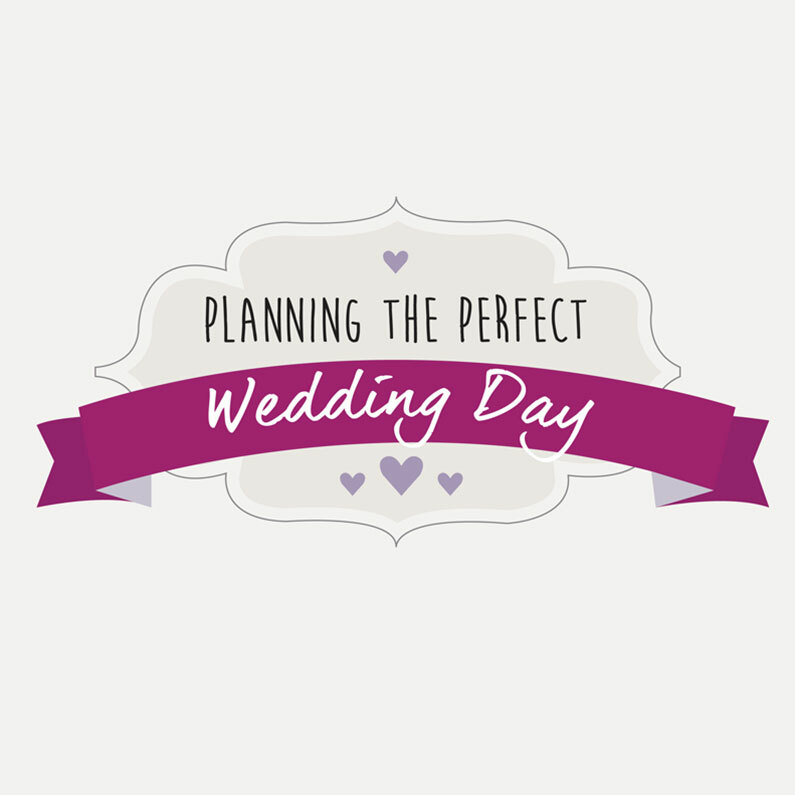 We are so grateful to Alan for helping us to plan our perfect day. Alan was there from the planning, to dealing with our last minute problems worries, I felt so reassured and it all went so smoothly. It was also wonderful in the evening just to relax and have a good time without worrying about what was happening next or what time it was. Before the day we had started telling people how much we appreciated the help and that everyone needed Alan’s help in the run up to their wedding, and on the day they saw why. The role you played in the Wedding last Saturday was exceptional. You ensured that everything ran so smoothly and I had nothing but compliments from the Guests about the Master of Ceremonies! Your skills as a DJ are second to none, as there wasn't a moment when the dance floor wasn't in full swing. My personal thanks for the help you gave to me, allowing me the freedom to enjoy the Wedding Day as the Mother of the Bride. So much more than just a DJ… Let’s look at some of the services that I can offer. What you really want for your wedding, is for your family and friends to have a great time! Dancing until your feet hurt, to music you absolutely love – the perfect ending to your perfect day. But how do we make sure that happens? Well, we plan it together discussing just what it is that makes a cracking party for you. 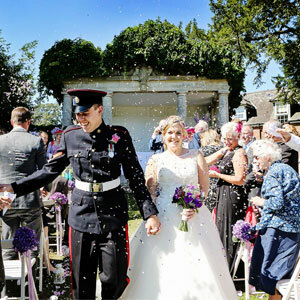 The best parties and weddings don’t just happen, they are planned to the nth degree. Let me work with you and use my extensive knowledge and skills as a Master of Ceremonies to help you create a day to remember forever. Thank you so much for making our day so magical. Your hard work and dedication to us as a couple leading up to our day really showed through. I had many compliments on you from our guests and you really put us at ease. Your extra touches to the day have brought us memories we will never forget. I cannot recommend you enough! Evening Wedding DJ or something more…? 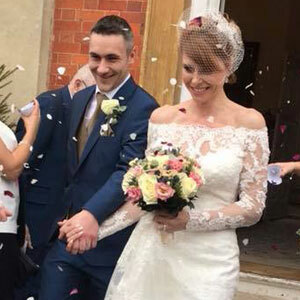 Most couples have no idea of the level of service that I can provide for the whole of their wedding day as a wedding dj Hampshire. In this video, Andy and Jenny Lee Notley talk about a service they knew nothing about and how different it made their day. 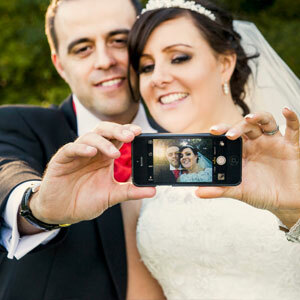 Married 11th October, Warbrook House, Hampshire. 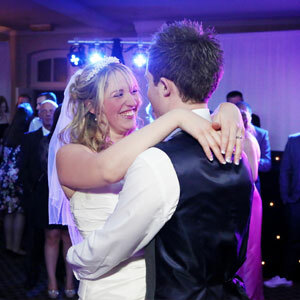 The Love Story is a way to emotionally involve all of the guests at your evening reception. 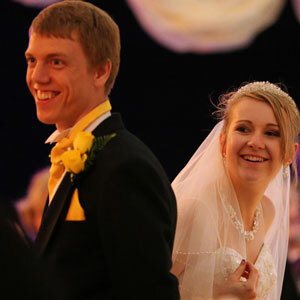 It is generally read just before your first dance and has frequently been one of the biggest highlights for our couples on their wedding day. Your guests will cheer, they will ooh and aaaahhhh, there will be laughter and maybe even an emotional tear. As I tell the story of how you met and fell in love from your first date, to that moment when you looked at your partner and realised they were the one that you were destined to spend the rest of your life with. 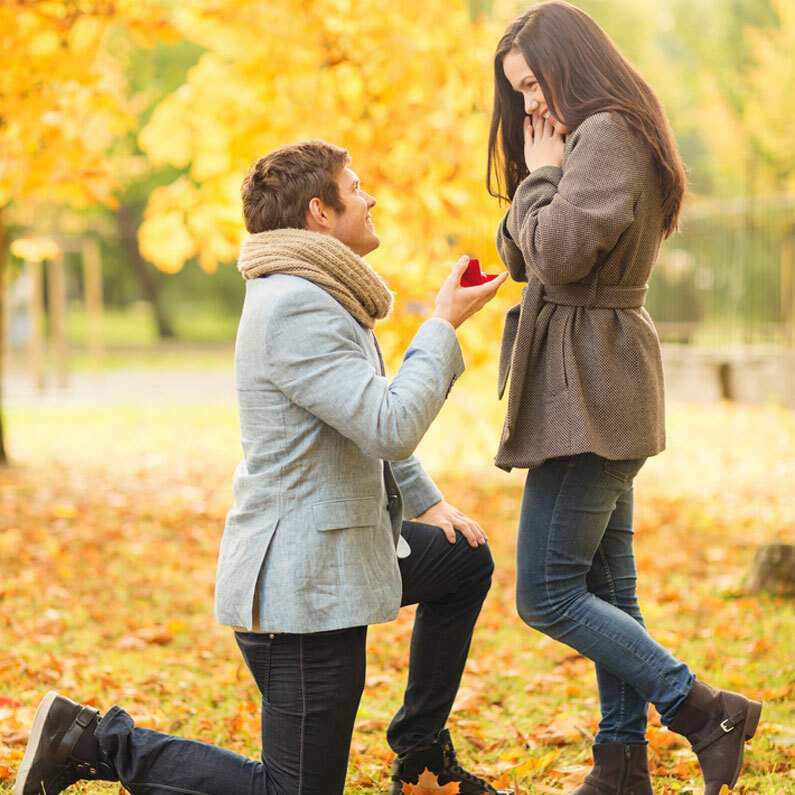 Through to how the perfect proposal was planned and delivered, culminating in your love message to each other. Your love story is unique but every couple has one and when I tell yours, couples at your reception will be transported back to when they first met, maybe even the day they got engaged! So when you step out onto the dance floor for your first dance as a married couple, they are even more engaged in what’s happening. It’s the one thing that truly will make your wedding day unique and I believe no wedding would be complete without one. I bring the WOW factor – there’s no shortage of entertainment. Personalised entertainment for your special day – unique with a creative twist. I work with you to create the right Entertainment Experience for you and your guests. 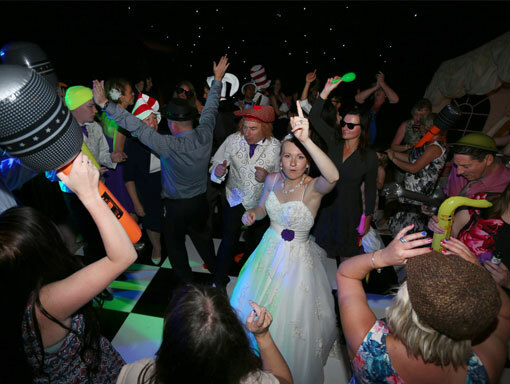 Your comprehensive Wedding Entertainment Planner full of great ideas to guide you. I annually attend training in the UK and America to improve the service I provide. I guarantee the success of your reception entertainment. Make an appointment with me to discuss your special day. Together we design the Wedding Entertainment of your dreams. 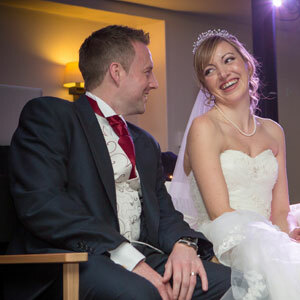 We ensure your Wedding Day goes to plan. 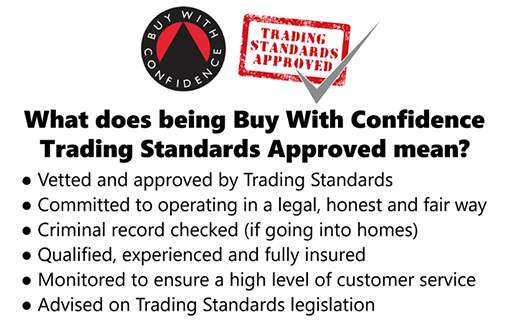 We are proud to announce that we have recently completed the process and become a member of the Trading Standards Buy With Confidence Scheme. We underwent a series of detailed checks including on our contracts and procedures and have agreed to apply the schemes code of conduct. Just one more reason to choose me for your wedding. 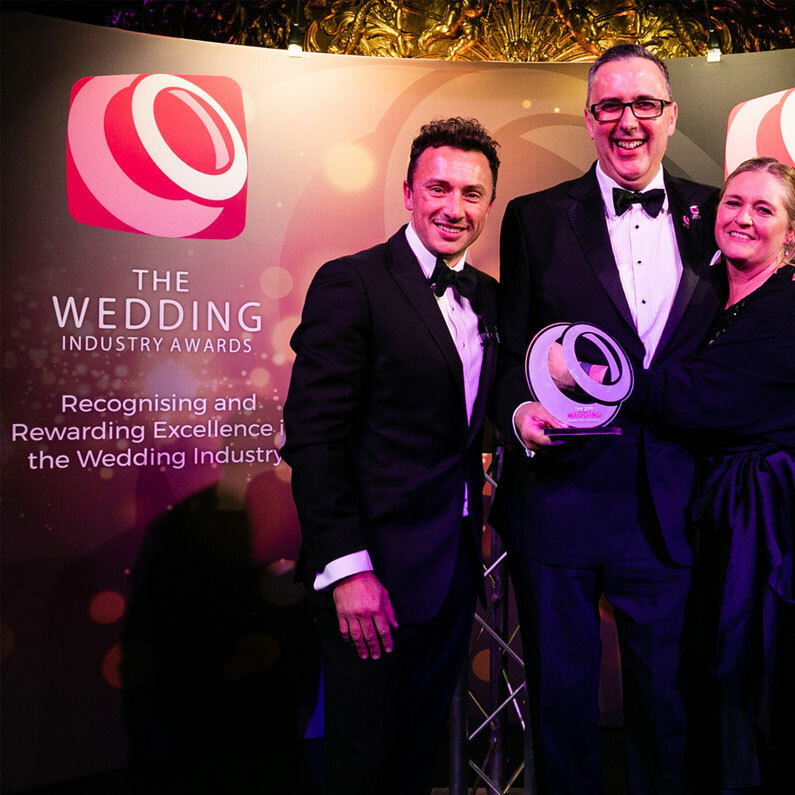 The Wedding Industry Awards recognise and reward excellence within the wedding industry. 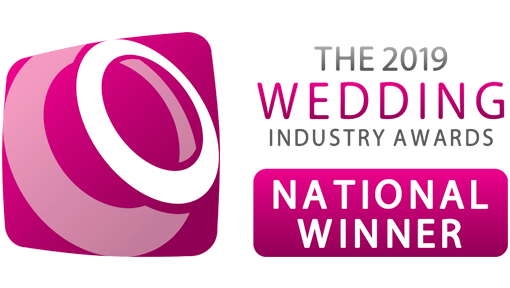 I am the current National Wedding DJ of the Year for 2019, National Highly Commended DJ 2018, Regional Winner for 2018 and 2019 and have made the regional finals for the last four years as The best Wedding DJ Hampshire. This gives recognition to the continued exceptional level of service to my clients.